KOMBUCHA has been known in Asia for centuries as a medicinal sponge, an elixir of youth, or protection against yeast infections. It is a naturally living symbiotic community of diverse yeasts, algae and various bacteria. Many chemical reactions take place during the oxidation and fermentation process that lasts for several weeks in sweetened tea and produce many health benefits. 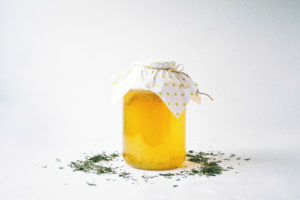 Kombucha consumes sugar and releases various valuable substances, such as glucuronic acid, gluconic acid, L-lactic acid, oxalic acid, acetic acid, various vitamins and minerals as a sugar replacement. Our drink was also appreciated by our customers, who enjoy wild social activities. 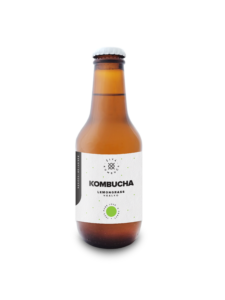 Because Kombucha contains a range of acids, it charges you with energy in the morning after such a wild night, soothes the stomach and balances the acid levels in it. So, it is great as a detox of the organism after alcoholic beverages. This unique lemonade made from fermented green tea containing caffeine and natural probiotic culture Kombucha is a new view and a taste of traditional lemonade. An interesting fermented tea flavour with pressed ginger juice turns this lemonade into a ginger hit. So all who love ginger, come drink this lemonade! This unique lemonade made from fermented green tea containing caffeine and natural probiotic culture Kombucha is a new view and a taste of traditional lemonade. An interesting fermented tea flavour with lemon grass leachate has a beneficial effect on digestion and gives the lemonade a delicate lemon flavour.